Going into a traditional Fijian village is a great honour, and something that few people ever get to experience. As such, Sea Mercy have been blessed to conduct the RISE program this August, and we would like to show as much gratitude and respect to the community as possible. Below are the customs that will be followed in Batiki Island. Please take the time to read and learn these, as breaking these customs can cause extreme offence to the village, which will have a severe affect to Sea Mercy’s reputation within the community. You may occasionally see a villager not following some of these customs, but you should still follow them. Other villagers will be extremely proud to see you following them, and will also make them follow the customs too. 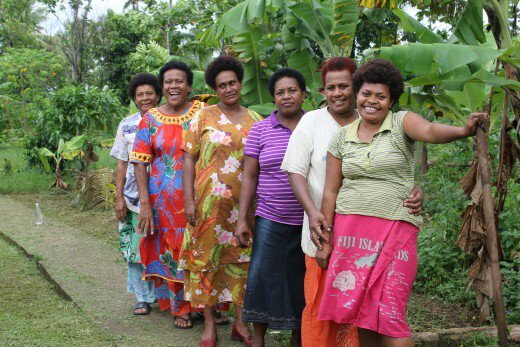 Although there seems a lot to learn, the more you become involved with the customs and Fijian language, the more you will experience true Fijian life, and the village will give you so much respect for being a ‘Kaiviti’ (Fijian)! T-shirts must always be worn in the village. Sulus must be worn all day on Sundays. Shoes must be taken off when entering a house. T-shirts must be worn that cover the shoulders, even when playing sport and swimming in the sea. Low cut t-shirts are prohibited. Sulus must be worn in the village at all times (when outside one’s host family home). Shorts below the knee must be worn when playing sport (leggings are not acceptable). Houses often have a ‘front’ door, and a ’side’ door. Please try and enter the house from the front door. The same applies for the village hall, the side doors are only supposed to be entered by village elders or the chief. Hats should be taken off when walking around the village, as the head is considered sacred and shouldn’t be covered. This also means that sunglasses shouldn’t be rested on the head (clipping them on your t-shirt is ok). Bags should be carried in your hand when walking through the village, as the shoulders are also considered sacred (when entering the village for the first time, the village will understand that you have a big bag is heavy and you may need to have this on your back). Affection and displays of romance are strictly prohibited on the island. This includes kissing, hugging and holding hands. Church on Sunday is not compulsory, but the village will greatly appreciate your attendance as there is often a welcoming ceremony. Volunteers attending will also increase the reputation of Sea Mercy within the community. Plus, you get to hear the amazing Fijian singing! 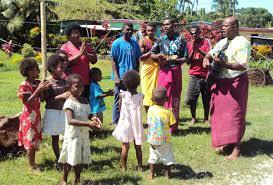 For church, women are to wear their ‘Jaba dress’ (flowery dress), and men are to wear either a plain shirt or bula shirt, with their pocket sulu. Kava is served from a ‘Tanoa’, and the positioning around this is extremely important. The Tanoa will always be surrounded by 3 people, and the side that no-one is sat by indicated the ‘top’. Fijians will often encourage you to sit at the ‘top’, in the chiefly position. Please kindly refuse, and make sure that you NEVER sit above the bowl. If they are persisitent that you sit at the top, you can explain that Callum said that no-one is allowed, and then hopefully they will understand. The only people that should ever sit above the bowl are Richard and Mike, because they are the leaders of Sea Mercy and the Soil School. Kava has a unique taste, and if this taste isn’t to your liking, then you can ask for ‘low tide’ (only a little to be put in the cup). 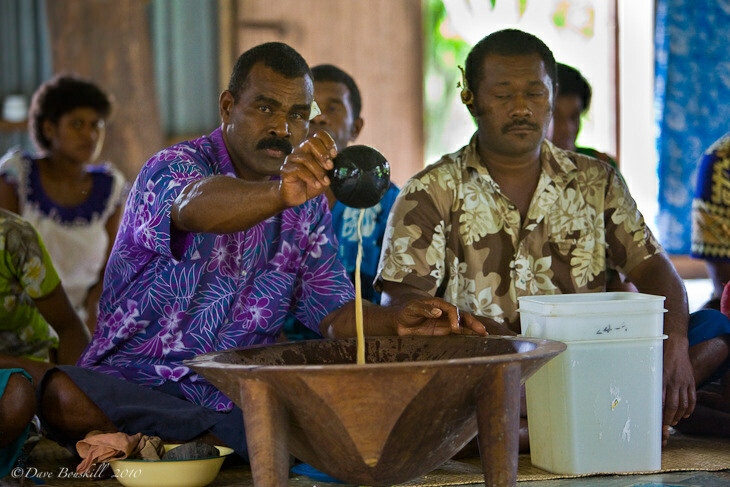 To drink kava, men should always be wearing a sulu (either their pocket sulu, or cloth sulu), and the women should be wearing their sulu or flowery dress. When someone presents a bowl of kava to you, clap a deep clap with two hands, take the bowl and say ‘bula’ to everyone, then drink in one go. After you have finished, clap 3 more times. As with the Kava ceremony, mealtimes often have a hierarchy. This can normally be seen as the women and children will be at one end and the men at the other end. The villagers will encourage you sit higher in the seating positions, but if you tell them to sit higher, this shows a sign of respect to the other person. To tell them to sit higher, say ’dabe cake’ (dam-bay thackee), which will make them smile. Once you have had enough food, say ‘vinaka’ (thank you) or ’vinaka na kakana’ (thank you for the food), and then shuffle backwards to signify that you are full. If there are others waiting to eat, this will let them know that they can sit in your place and begin their meal. Fijians (especially the ladies) may wait for you to finish eating before they begin. Try to encourage them to eat with you, as with a little nudge and a smile they will normally begin eating too, which brings everyone together even more. Alcohol is strictly prohibited on Batiki at all times. Smoking cigarettes is allowed in Batiki, however there is a ban on smoking indoors. As you can see from the above, going into a Fijian village is not a simple or easy thing to do, but the experiences that you will have are unlike any you will have had before. These customs are what keeps the island so special and unique. Everyone will forget to follow certain customs from time to time, so if you see any of your team that have forgotten, please point this out and have a good laugh about it! !